While the sun’s UV rays, warm windy days, pool and sea-water and weeks at the beach may have felt good, they are also likely to have taken their toll on your hair. What's more, the change in season offers different hazards to your hair. Here are our top tips for getting your hair back in good condition for the colder months, and how to prevent further seasonal damage. The centre of your hair (called the cortex) is responsible for most of the strength of your strands, and a flat layer of overlapping cells, called the cuticle, protects it. However, the summer elements often raise and damage this protective layer, making your hair more vulnerable to breakage and split ends. A damaged cuticle also reduces shine, increases porosity and dryness and makes your hair more likely to interlock and tangle. To effectively smooth the cuticle on every strand, gently comb through your conditioner with a wide-tooth comb after every shampoo, start at your ends and gradually work up. Follow this by applying Daily Damage Defence, a protective de-tangling spray, to your mid-lengths and ends. This will guard your hair throughout the day from further environmental damage. In the colder months, many women wish to grow their hair longer. However, split ends make this difficult as they often cause thinning and fraying of your ends. Unfortunately, once you have split ends, the only cure is to cut them off. And this should be done as soon as you notice them, or they are liable to continue splitting further up the hair shaft. One of the worst culprits for split ends is bristle brushes, or brushes with metal prongs. These can tear away sections of the cuticle, snap your hair and also scratch your scalp. Choose a vented brush with rounded prongs and a cushioned base, doing so will help protect both your hair and scalp from daily styling damage. The summer months may have left your hair dry and brittle and when going into winter there is not much respite. Certain elements, like central heating, strong, cold winds and increased use of heated styling tools can also be damaging. Dry hair breaks easily and also make it difficult, if not impossible, to grow hair longer. This is because the hair will often snap off before it reaches the length you want. To restore strength and elasticity, apply a weekly pre-shampoo conditioner, such as Elasticizer. If your hair is particularly damaged, use this twice weekly or sleep with it in. When blow-drying, spray on a heat-protective conditioning spray, such as Daily Damage Defence. 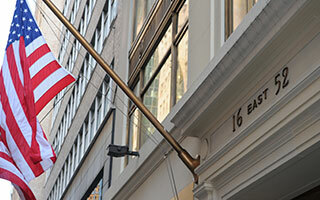 Sunny days are far and few between in the autumn, lessening further into the winter months. This means your Vitamin D levels can take a drastic drop. Vitamin D is essential to healthy hair growth, so invest in a supplement containing it, like Tricho Complex. Eating Vitamin D rich foods, such as salmon and mackerel, can also help. Flaky/itchy scalps become increasingly common in the colder months. This is due to a number of factors, like changes to diet, increased stress levels and a chillier climate. Apart from being annoying, dandruff is also known to trigger hair loss, it is therefore important to clear it as soon as possible. To sooth your scalp and rid it of flakes, use our Flaky/Itchy Scalp Shampoo and Flaky/Itchy Scalp Toner daily until irritation clears. 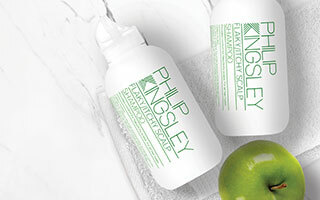 Follow by weekly use of Philip Kingsley Exfoliating Scalp Mask to remove build-up of dead skin cells. Stress levels can skyrocket in the winter, leading to increased daily hair shedding and an oily scalp. Use a holistic hair and scalp regime to combat excessive hair loss, such as TRICHOTHERAPY®. 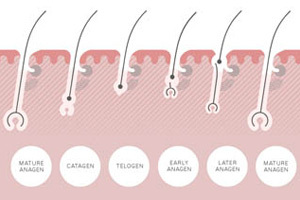 The 3 step regime tackles hair thinning from all angles; via a volumizing protein spray that gives immediate body, whilst protecting the hair from environmental damage; through scalp drops that help to block the effects that male hormones can have on the hair follicle; and via a nutritional supplement that boosts hair growth from within. To reduce oiliness, apply a Scalp Toner every day after shampooing/conditioning to towel dried hair. For more information on Autumn hair care please contact our clinic.